Today was going to be a good day as Roller X woke up in her bed in the Jensen Mansion and gave a stretch. Why was it going to be a good day? Well, Roller X was in a great mood. For at Saturday Night Slam #3 Roller X defeated her opponent and advanced to the next stage of the tournament. Not that she had any doubts that she wouldn’t be able to put Saraya Waters away. But before the night fully ended she was given a text of the next card and Roller X was excited to see not only who she was facing, but Eli was in a triple threat which was going to make it that much harder for him to advance. It came with a bit of a bitter sweet as she actually wished she was apart of that triple threat, but she couldn’t help but smile at just who it was she did get. Her opponent was none-other-than Mizore and she was excited to be able to face. "Wonder what mom has cooking up for my training this week." Roller X said more to herself as so far her mother had been adjusting her harsh training to fit her opponent. But Roller X put it out of her mind for now as she glanced over to her phone as its indicator light showed she had a notification. Roller X grabbed it and checked and found out that Maya had uploaded her blog, Prime Data. Roller X smiled to herself. "Oh I bet Stealthy’s conflicted on who to predict here." Roller X chuckled to herself as she opened up the blog and resisted the urge to jump on down to check out her predictions. She hadn’t missed reading any of her sister’s Blogs and she wasn’t going to miss any of this one either. Of course in the back of her mind she couldn’t help but going on to tease Maya on who exactly she would be choosing. In fact she almost believed that Maya hadn’t even picked a side yet. But after she finished reading the blog and went to predictions the smile on her face just froze as slowly it began to fade. I have to pick someone and well, I’ll go completely analytical about this… So… Mizore’s a multi-time Champion and a Grand Slammer… Roller X… isn’t. Slowly Roller X’s anger began to build up inside of her as she griped her phone even tighter before yelling at the screen. "Completely ANALYTICAL! Multi-Champion! Are you KIDDING me?!" Her words were harsh as she stared daggers at her phone. "You just don’t think I can do it, Uh Stealthy?! Mizore’s your baby and oh of course you wouldn’t pick against her. That and you HONESTLY think that I’m just not good enough huh? Not having a championship! I bet you’re just like all the others and think that I’m all big talk but when choke when the big events get here. Is that it? Huh? STEALTHY?!" Roller X clutched her phone even tighter as her eyes just stared at the promotional art that featured the match that Maya had included in her blog. "I helped you two get together you know… I did. If not for me, you NEVER would have gotten the nerve to tell her how you felt about her! I also helped you set up that little valentine day thing when you finally did tell her! So if not for me You two would just be Friends! You hear me! FRIENDS!" Perhaps Roller X was making more of a deal out of her sister’s prediction, but deep down Roller X was jealous of her sister in all her accomplishments. It didn’t help when people even believed Maya was the better of the two sisters. "So you’re undefeated in HSW right now… So what. Had I not used that one move… That stupid Headbutt!!" 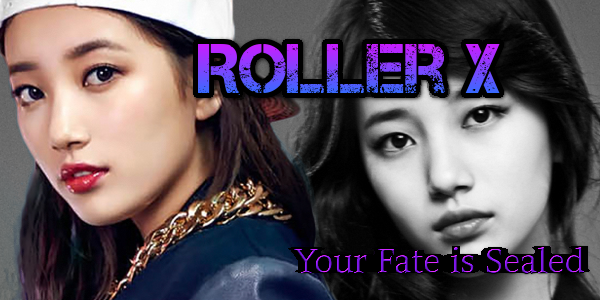 Roller X’s rage boiled over as it seemed she wasn’t fully over her loss to Eli. Then again she wouldn’t fully feel better until she had taken him down. But it was enough to cause her to toss her phone straight at the door as she yelled in frustration. Bad timing on her part as just then the door to the room opened as one of the house cleaning maids was about to enter. The phone striking her square in the face as she fell backwards clutching her eye. It took Roller X a moment as her rage subsided a little for what she had done, but then it built back up as she crossed the room before glaring at the woman sobbing and clutching her eye. Her words cut deep and the maid only seemed to tear up a little more. "I… I’m sorry, Miss, I’m new here and I thought this was the other spare bedroom." Roller X could tell she was a bit scared and frightened. And in the back of her mind she remember her mother telling her about getting a new maid for one of them had retired recently but Roller X didn’t seem to care. "Well it’s not. Now get back to work, and next time KNOCK!" Roller X slammed the door on her as she could still hear the woman crying a bit longer. She reminded her of Maya… back when she was younger… Back when she actually looked up to her older sister…. Roller X sighed as she walked over to her bedside table where two pictures sat. One of which was of her and her Roller Derby teammates, the other being a picture of her, Maya and Mizore. "How things have chanced huh?" Roller X said seeing the smile on the three of them. She remember how it was taken just after Maya was finally cleared to walk again. Back when she still needed her even though if she admitted she got more help from Mizore than her… which only caused her jealousy to flare up yet again. "Fine… If you would rather be in her corner than mine… So be it. But I still know you Stealthy, and I know that there is still one thing I can do for you before this tournament is all said and done… and it involves me kicking your girlfriends a**!" Roller X just glared at the picture before getting up and walking out of her room. The maid had left already but Roller X didn’t care as she just headed on to breakfast… so much for the start of this ‘good day’. "Winter is not coming… It’s already here." The feed begins as we see what looks to be the middle of a snow storm. The camera pans around trying to find the source of the voice but all is covered in the blanket of white coming down from the sky. The winds are blowing ferociously but soon we managed to see someone slowly making their way through the snow and towards the camera. It took some time as they were fighting against the wind and already knee deep snow. She wore a dark black with pink outlined snow-boarding gear as her head was covered with goggles and earmuffs. This was Roller X as finally she managed to get to the camera’s view. Speaking out loud as a hidden microphone on her person allowed the audio to pick up her voice despite the conditions. "Ask just about anyone in High Stakes Wrestling about who Mizore Payne is and you’ll get multiple different answers. But I know who you really are Mizore. You’re the daughter of the Dominant Android 18 and the Legend White Tiger! You’re one of the few who managed to complete the Diva’s Grand Slam of EWE before it closed it’s doors. And you’re one h*ll of a wrestler. A force to be reckoned with." The snow and wind continued to blow all around Roller X as she talked. Slowly, Roller X began to take a step closer towards the camera before she indicated the surrounding storm. "You, like snow, come in many different flavors And I’m not talking the white versus the yellow flavor." Roller X smirks before bending over and scooping up some of the snow into her gloved hands before straightening back up. "You can be kind, gentle, and just plain fun to be around." Roller X balls up the snow forming a snowball before smirking as she tossed it towards the camera. She hit her mark as the snow then slides off the lens, before being wiped clean and back to the snow storm again. "Then you can be fierce. Changing the landscape around you as you decimate your opponent. Sure it may look pretty from afar but when you’re caught in the middle of it, that’s when things get dangerous." Roller X again pauses as she looks around the snow storm. Finally she turns back towards the camera. "I like everyone else thought that Winter was coming… that it had not arrived just yet. I didn’t expect to be facing My sister’s girlfriend until Summer Breakdown. Ironic, expecting winter in Summer I know. But Winter has now arrived ahead of schedule and I have to deal with it. I have to over come this cold because if I don’t… then I’ll have failed… again." Roller X tone turned intense as she stared at the camera. "I’m tired of making so far in these things… and not being able to get the job done when it matters. Sure, you could say I made a pretty big impact. But at the end of the night and I was title-less yet again, my so called impact was nothing more than a pot hole. An annoying inconvenience but otherwise doesn’t stop you from getting to you destination." Roller X cliched her fists as her frustrations were continuing to build up. "I’m hungry for a title and this fire will not be easily dowsed by the snow storm around me. But do I know it will be a fight? Of course it will be. I know Mizore wants this title too. She wants to prove she can make it to the top of a federation just like her parents. Perhaps she feels that every lingering shadow of their greatness on her and she needs to prove to herself AND to the world that she’s just as good as they are. Maybe even better. But you’re forgetting something my dear Mizore. I also have had a parent in this industry, and rather you’d admit it or not, it casts a long shadow over me. Not for being something great… but because my mother never once accomplished anything." Crossing her arms Roller X continued to speak as the storm raged around her. "Not one single championship. Not even the best of records as the only ones she managed to beat were those who weren’t trying or simply were that awful. You even know a little bit about her as you faced her not just once but twice." Roller X nods her head to confirm that fact. "Oh don't know what I’m talking about? Well, guess she really didn’t make that big of a splash when she was in your debut match. That’s right. When you went in to not just debut but to get your first championship ever, you defeated my own mother. What does that say about me, hmm? Her bloods runs through my veins... and sure you could bring up the Mother/Daughter Tag match but she had Stealthy on her team. Someone who’s already gotten out of our mother’s shadow." A hint of jealousy crept into Roller X’s words at the mention of Maya’s success. But that only continued to fuel her annoyance. "So don’t think for a second that your drive Is better than mine. For I refuse to stay In my mother’s losing record’s shadow. I WILL forge ahead and finally claim what I’ve been hungering for so long. To finally land the big one. And I don’t care about Round 3. I refuse to let you have a win over me, Eli already has that and he’s still in this tournament. Goode for him. I hope to see him soon so I can personally knock him out of this tournament." Roller X’s anger towards Eli build up inside of her for a moment before finally calmed down enough to continue. "That’s not all though. There’s another reason why I need to win here tonight. And it’s all about one person…Stealthy." Roller X nods as she let’s this piece of information sink in. "You’re going to be a big sister in less than 9 months, Mizore. It’s a big responsibility. But you need to know that one of the things big sister’s do, is that they will do anything to help their little siblings. For I know Stealthy doesn’t want to fight you. She cares about you to much. And I don’t care if she doesn't think I can win this match. I will. Not just for myself but to keep her from having to do what she doesn’t want. It’s what big sisters do. So enjoy Round 3, Mizore… for your fate is sealed." Roller X stands there as the snow storm begins to subside. Soon the snow begins to melt at an alarming rate as we now see what looks to be a field of grass. Behind Roller X, now stood a sign with the Summer Break down logo on it, that had been hidden underneath the knee high snow. Roller X turns to look at this before saying one final thing. "Summer BreakDown here I come." Roller X heads out of the scene as the camera zooms in on the SBD logo on the sign before fading to black. The temperature in the room was dropped down considerably as one individual stands in the middle of the wrestling ring in the Jensen Mansion training room. This individual was Roller X as she had her hands rubbing up and down her arms as she shivered from the intense cold. It was only natural since she was only wearing a sports bra and really short pair of shorts. Her shiver effected her voice as she called out to the other person in the room. This other individual was her mother, Kristy Jensen. Unlike, Roller X, however, Kristy was dressed for the cold air of the room. Slowly, Kristy got into the ring as she looked across from her daughter. Roller X tried to roll her eyes but she was just to cold to do it. Kristy actually scoffs at her daughter before shaking her head. Roller X just looks at her mother, to cold to really say anything as she was freezing. Roller X says as her voice was clear that she was just going against what Kristy said, but Kristy knew better than that. Kristy takes up a more fighting pose as she signals Roller X to come over. Roller X obliges shivering as she does. Kristy holds up her hands for them both to lock up. Roller X asks as she locks her hands with her mother’s but it was harder due to the cold and her bodies desire to curl up. Before Kristy finished, she easily shifted from the lock up into a headlock, taking control of the lock up. Roller X barely putting up a fight as she almost leaned into the warmth provided by being so close to her mother’s body. Kristy used Roller X’s momentary lapse in thinking as she slammed her to the mat hard. But she kept up her hold shifting to a wear-down submission. Roller X heard her mother as she continued to apply the wear-down submission hold. But with how close she was, the warmth of her body eased some of the suffering from the cold. Yet push back she did as slowly she managed to get up and out of the hold, and breaking away from Kristy before scrambling away from her, the cold beginning to bite at her even more now. Kristy stood up through as she gave her that disapproving look. Roller X had not stood up yet as she was back to holding herself. Kristy shakes her head at her daughter’s protest. Roller X slightly glared at her mother but get up she did. Her legs shaking slightly as the cold hit them full force. Kristy held up her hands for Roller X to lock up yet again and Roller X obliges as the two lock up. Roller X nods her head as she steels her willpower. She was cold but she wasn’t going to let it get the best of her. This time when Kristy went to shift the lock Roller X was able to resist… until Kristy switched it up on her and shifted to a completely different hold as she had swung around her to her back. Roller X again felt that bit of warmth as it called her name all so invitingly but Roller X had to push past it as she did her best to shift the hold again… This time managing to get a hold of her arm and twisting it to the side. Roller X smirked but suddenly, Kristy shifted rolled through the arm hold before slamming Roller X down on the ground, before getting on top of her and applying yet another wear-down submission. Roller X swore outlaid causing her mother to yank back on the hold causing Roller X to flinch. Roller X rolled her eyes as again the warmth of her mother’s body pressed against hers was beginning to ease the pain from the room’s temperature. But Kristy held the wear-down submission. Roller X didn’t reply as for the moment her mind was sinking Into the warmth the hold was providing, even if the hold itself was also wearing her down as well. Roller X struggled a bit but didn't seem she was trying all that hard. Roller X teased as this caused Kristy to again yank hard on the hold causing Roller X to flinch. That seemed to do the trick with Roller X as she grit her teeth in almost anger as she pushed with all her might before pulling her mother off and slamming her to the side. But she wasn’t done yet as she mounted her mother and just began to sink fist after fist into her, each yelling in an unbridled rage. Kristy of course, covered up before finally, she pushed Roller X off of her and stood up getting some distance between them so Roller X could cool off. Roller X glared at her mother but slowly the outburst began to subside. Finally, with a small smile Kristy held up her hands ready to lock up again. The camera begins showing footage from some time ago. The footage was a bit staticky but otherwise just fine. On the footage we see what looks to be a lady who went by the name of Kelsi Parr as she was struggling to skate. As the footage continues slowly a few flickering of static could be seen followed by a few parts even be completely taken over by another scene of Mizore trying to skate In a skating rink. The scene flickers back and forth between these two before suddenly just ending completely in static. The camera slowly begins to pan back as we see the monitor the footage was playing on, but the scene otherwise remains in complete darkness. The voice comes over the camera before suddenly a light flicks on, all we see Is a curtain and an older television monitor set up in front of it. Right by this however Is Roller X wearing a dark blue Xcelerate shirt over black pants, she wore a backwards hat as well as a pair of fingerless gloves. Her tone wasn’t all to kind as she address the camera. Roller X’s fist begins to tighten a little as she recalls what happened after. Roller X places her hands into her front pockets as she looks into the camera. The intense anger builds up on Roller X’s face as her hands ball up in her pants pockets. Roller X takes her hands out of her pockets and crosses her arms. Her stare at the camera continues to burn intensely. Roller X glares at the camera still keeping her arms crossed. Roller X trailed off as she mentioned her friends, the ones who competed with her in the Xcellerate Roller Derby League. Suddenly, the curtain behind them drops revealing a snow storm just on the other side. Roller X turns and walks through it towards a lit sign in the back which read “Summer BreakDown”. The camera instead shifts it’s focus as it begins to zoom in back at the television monitor before showing a roaring fire on the screen. The snow from the storm, that was held back by the curtain now begins to flow in and around the monitor still displaying the burning fire. The camera focuses on this for a bit before fading to black.